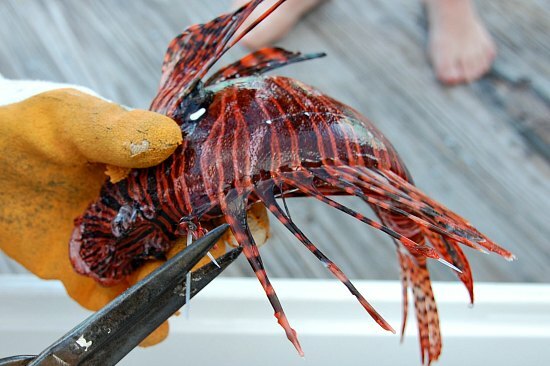 Have you ever wondered how you can remove all the 18 venomous spines from a lionfish? Well I’ve produced a short video showing me removing the spines from three lionfish. For cleaning lionfish you will need a good pair of sharp tin snips and some puncture proof gloves – see my other post Puncture proof gloves for lionfish hunting. It is always a good idea to wear a pair of puncture proof gloves while handling lionfish because it is very easy to get stung. I have been stung by lionfish four times and twice was when I was cutting off the spines before I took them to a local restaurant. I didn’t actually get stung by any of the 18 venomous spines on the two lionfish. I actually got stung by additional spines that had stuck into the fish when they were in my lionfish container. 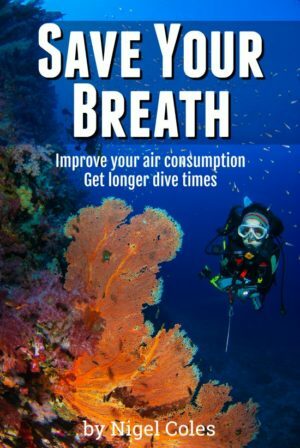 This probably happened back on my dive boat when I dumped the lionfish from my container into my cooler box. The force of the fish landing on top of each other probably caused a spine or two from another fish to break off into the lionfish I was handling. Remember the venom in a lionfish is still active in the spines AFTER the lionfish has died. Over time, approximately 24hrs, the power of the venom reduces to zero. 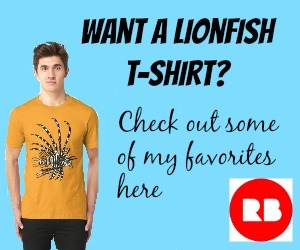 Want to see how to de-spine a lionfish? Well have a look at my video below. 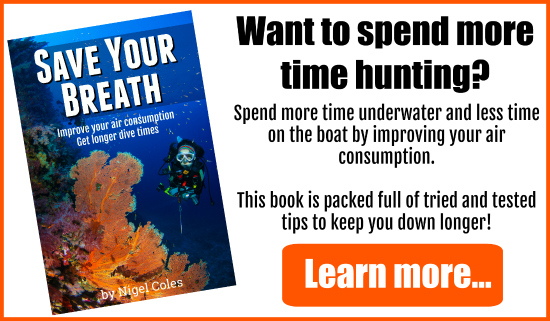 If I may ask, how did you determine that it takes 24 hours for the venom to denature in a deceased lionfish? I assume nobody volunteered to get stabbed at hourly intervals until the venom wasn’t effective, but I am curious as to whether there is any evidence behind that number. Thanks a ton for your time and help!